So I began this blog in great part due to the fact that we had our first kid, Brayden Wesley Scott. I entitled it "Still Learning" because if having a child implied anything...it was that I have a lot to learn. Some would laugh at this post, others would nod somewhat patronizingly in memory of feelings long past, others still may have similar feelings that are recent and fresh. Regardless, I share it because I need to. About fifteen minutes ago Meghan and I just let a huge part of Brayden go. We let him get on a bus with some driver-dude I've never met. And now Brayden is under the influence of people I have never had control over: children who have been raised by parents other than Meghan & me and teachers & aides who will influence him in ways that Meghan and I have not, will not, and cannot. He will be hurt. He will likely hurt others. He will interact with people, ideas, and systems that we wish he wouldn't. This great part of his life will be out of our control...by choice. I ashamedly confess that I used to look down upon home-schooling. I regret such ignorant presumption. This was yet another situation where I thought for sure that I knew best: "How are kids supposed to learn social skills? ", etc. But surely...I understand a bit more now. I understand - at least from my perspective - the desire to home-school and I believe there are times and places to do so. Because it's not that we can't control this. We could keep him home. We could even move to northern Canada and just live "safely" as a family away from the whole world. I'm pretty sure we could teach him the academics if we worked hard enough (although, having a public educator as a parent myself, I believe that teachers do often know better than parents). I may even be able to teach him social skills without actually being social (though probably not). But I'm not sure that we could very well teach him the nature of God the Father...who lets us go. Of all the things we want for our children, we want the most for them to see the nature of God in us (including our parenting). As Wesleyan-Arminians, we believe that God is first and foremost a being of love and grace. Even as I grow with the pains of parenting, I'm learning more about this. It's surely arrogant and presumptuous, but I feel like I understand just a bit more the compassionate God who suffers for and with us because God lets us go. I'm not ignorant to the fact that many (even most?) these days believe that God is a God who controls everything, mostly because they run on that Greek platonic belief that God by very definition is omnipotent. Don't get me wrong - God is indeed all-powerful, but the primacy of my understanding of the nature of God is that of love and grace. And by definition...love and grace only exist where there is freedom. God does not make us love. God makes us to love. 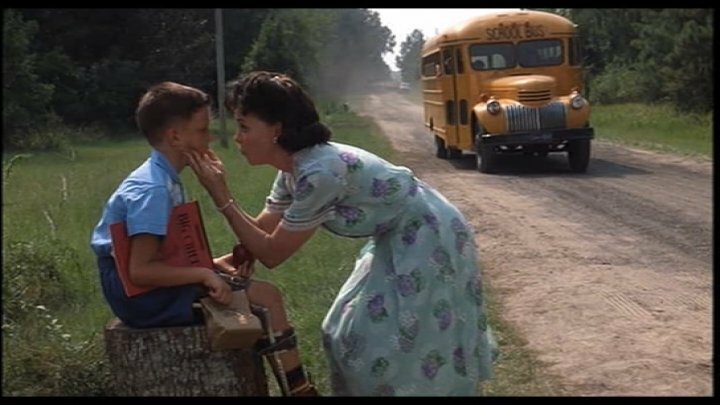 I wonder if I've felt the macrocosmic heart of a creative God today in this microcosmic releasing of Brayden to a school bus. 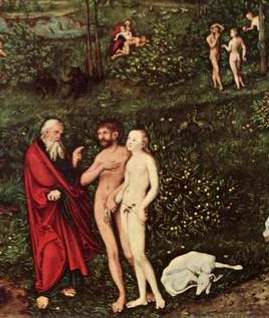 When God released humanity on earth in the biblical creation story, it's portrayed by God setting Adam & Eve in the garden with some guidance and instructions...yet without balls and chains. I feel this way today. 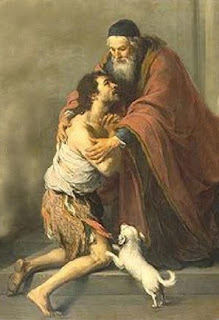 We also see the same nature in the loving Father toward the prodigal son. Many parenting styles today would say, "Um...no son, of course you cannot have your inheritance money because you'll spend it frivolously." Some would even build a fenced-in pen to keep the son in. Yet the loving Father in that parable lets the son go free. The son finds his own pen, and surely a much more disgusting one than the Father could have built for his son. Meghan and I feel that our job as parents isn't always to make our kids comfortable, but rather to comfort them in the situations of life. In the parable, the course of events allows that when the son returns for forgiveness, he has a perspective on the world, life, and love that the son who stayed home can't fathom. Back to the creation story: it shows God's curiosity in watching what humanity would do. I also feel that way today. Brayden is such an incredible kid. I truly hope that he learns from his teachers and classmates. I believe that they will all teach him things that, as his parents, Meghan and I can't. And when he is taught or experiences things that are contrary to the will and nature of God, we will continue to do our best to show him otherwise. You could call these "teachable moments." Scripture is full of them. Our greatest hope is that this small release today will help Brayden understand the nature of God the Father all the more. Probably not right now. In fact, he may even be angry at us at some point for letting him get hurt (read the psalms, anyone?). But my hopeful prayer is that, in the long run, it will be best for him in knowing who God is and thus, who he as God's child should be. UPDATE: Despite any fear to the contrary, Brayden did come home and get off the bus just fine. And he had a good time. And the bus driver introduced himself to us. His name is Paul. And he's nice. I am not laughing. I understand to the best of the ability of someone without children. I get it at least. I'm glad the bus driver is nice. I had the same bus driver from the first day of kindergarden til the last day of High School. He was a constant amongst the many changes. I'm sure that won't be the same for Brayden and it sure wasn't the same for most of the students in my school system. I just got lucky. Thank you, again, Jeremy for an insightful and thought provoking post. I have been thinking lately about what it means that God loves us as a parent. I sent Ella to Kindergarten, and my 3 month old to a babysitter last month. And each day, I yearn for them, I want to be near to them, I want to hear about what is happening, and so much more. How powerful the thought is that it is just a little bit of the way that God is with us. Way to go, Dad! Been there, done that! --- The best is yet to come! LOVED this post Jeremy. Thank for what you have reminded us (me) of today. Love your honesty, your writing and thoughts on parenting and definitely correlation to God. One of the hardest things we've done was drop JJ off at the French Kindgertan and put him into the care of not only people we didn't know, but a culture we didn't know, and people we couldn't really communicate with. One day he began to cry, and I wanted to hold him for a while, and I almost did, but saw the aid move closer to him and put her arms around him. I thanked God in that moment and was reminded how God sends people to come around and love on our children.